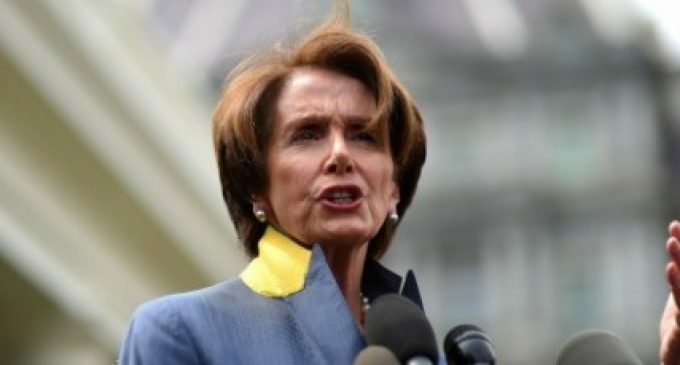 On Thursday Nancy Pelosi (D-Calif.) used the time-honored race card, suggesting Republicans who won’t allow a vote on comprehensive immigration reform are racists. She said she believes the reform issue would be different if the illegal immigrants in question were from somewhere like Ireland. If Pelosi wants actual open and honest debate how can it be helpful to use these race-baiting red herring tactics? So far, they haven’t had any luck: Boehner promised a piecemeal process, if anything, and has said passing even smaller-scale legislation could be difficult given distrust of the president within the Republican conference. Despite releasing principles for reform in January, there have been no votes on immigration legislation since then. She’s a special kind of idiot!! Pelosi you’re an idiot! You’re full of c**p and your “tactics” are tired, out of date and ridiculous! You, and your illegal aliens need to pack your bags and LEAVE!!!!! Now!!! Pass the word! We need to Get Out, all of these democrats out! Vote them out! How is it that she, as a white woman, allowed to play any race card? That woman can actually finish a coherent sentence? Or a thought? She’s a trouble inventing *itch and the crappola queen, with lots of henchwomen, of the commucratic party! She leaves a bad smell every time she opens her mouth.